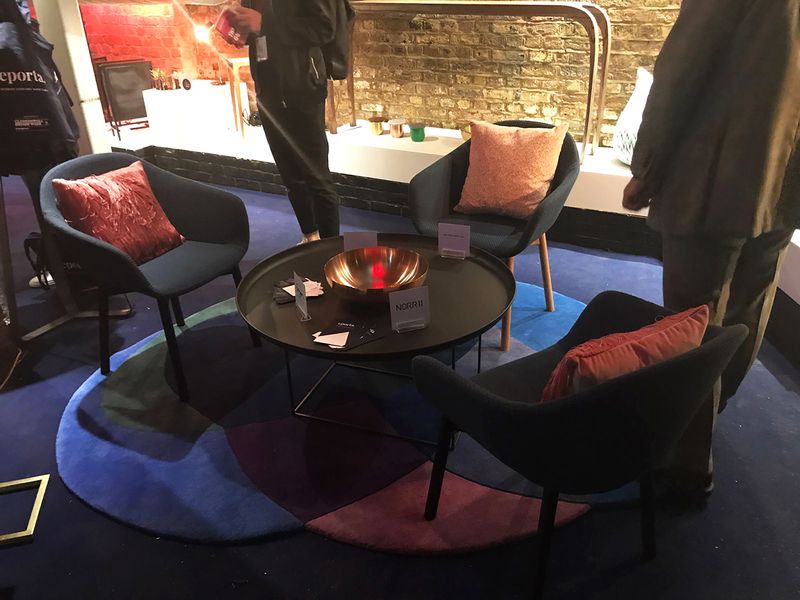 On the 23rd of May we exhibited at Clerkenwell Design Week, Additions in St John’s Square, our very first trade show after only 8 months of trading! The lead up to the show was nerve racking to say the least but once we got there and painted the walls pink we soon loosened up. 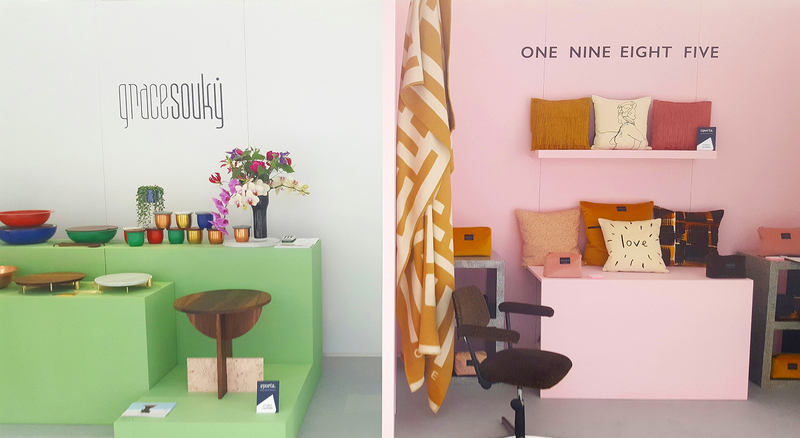 It was such a fantastic experience, the response to the brand was overwhelming, we are so happy to have met such wonderful people and we made lots of new friends including our lovely neighbour Grace Souky. 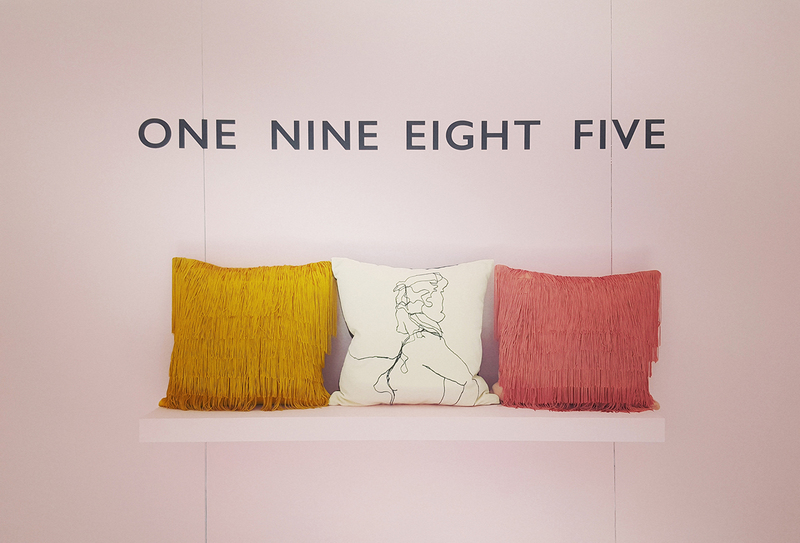 The stars of the show were our pink and ochre Tassel cushions which proved to be the eye candy of the collection with everyone wanting to touch the tassels! We sought out to create a collection that had a playful element to it so it was amazing to watch people’s reaction and see them interacting with the cushions. The show also saw the launch of our Zip Pouches, the first offering from our accessories line which went down a treat. 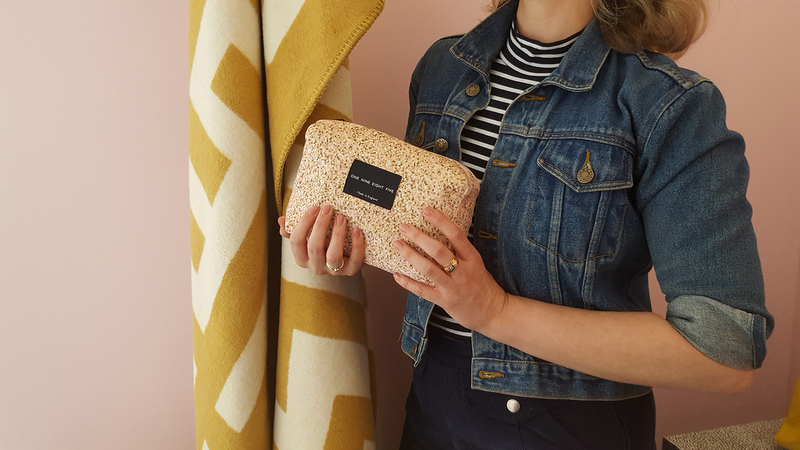 They came about because we didn’t want to throw away any left-over fabrics from making our cushions. We believe that everything should be used, wherever possible, and the pouches proved to be a fantastic solution to making use of our off cuts. As well as having our own stand we worked with Eporta, one of sponsors of the show. 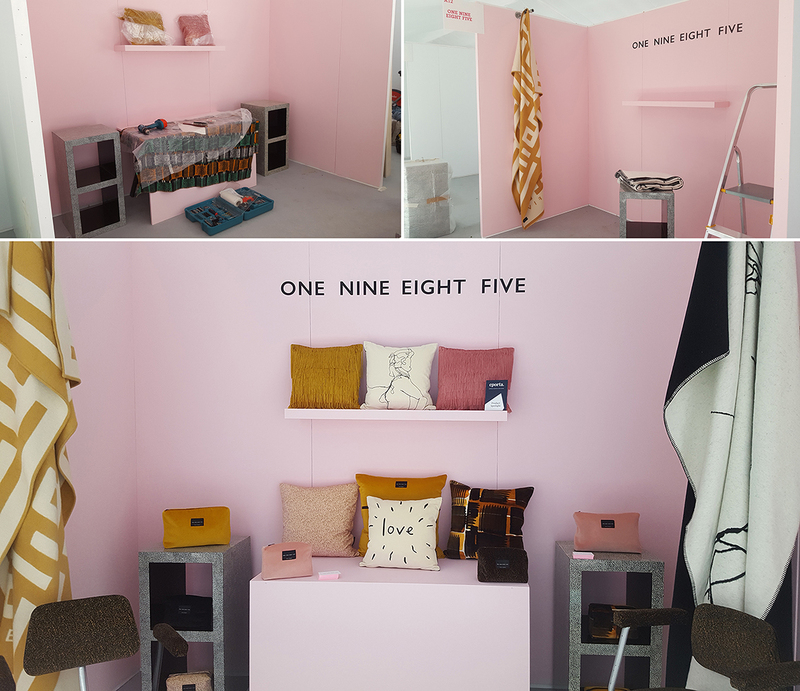 They had our Pink Tassel and Pixel Pink cushions on their stand at Icon House of Culture in Fabric nightclub. 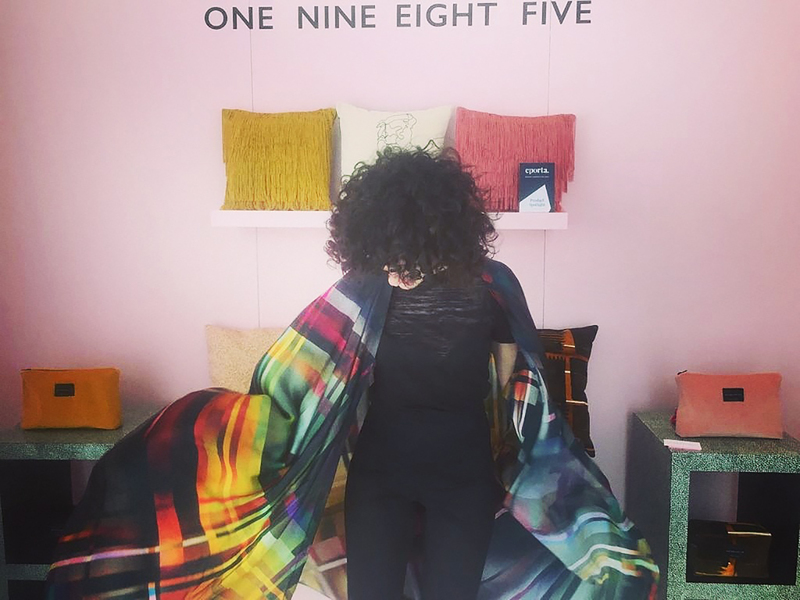 They also filmed a short interview with founder Eleanor Nadimi, quizzing her on the inspiration behind the collection, what ONE NINE EIGHT FIVE stands for and why she started the brand. As soon as we get our hands on the video we will be sharing it with you. The three days flew by and all we can say is a huge thank you for all of the support and love from old and new friends, it has truly been an experience we will never forget! 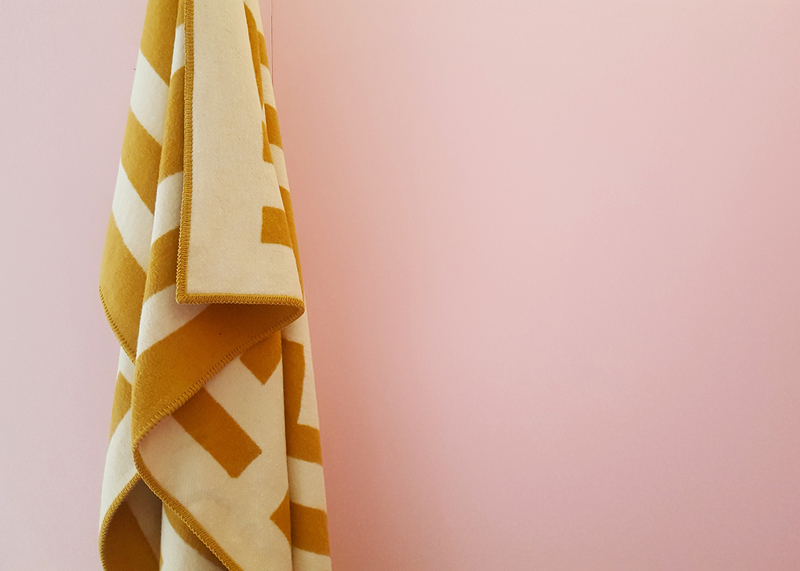 If you didn’t manage to make it down to see us don’t worry, we have now secured a stand at Design Junction during London Design Festival in September where you can come and see us and our products.